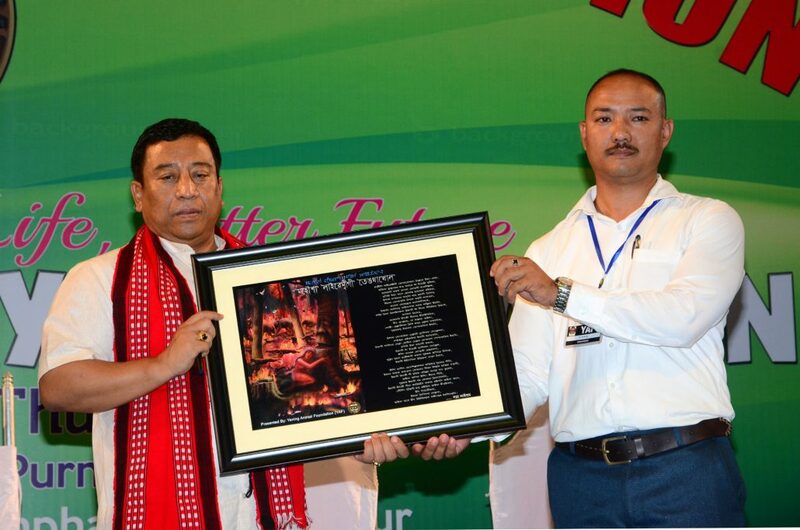 Manipur Forest and Environment Minister Thounaojam Shyamkumar reiterated the importance of saving the environment for a better future. Both man and animals depend on the environment for their survival, he added. Minister Shyamkumar was speaking at the first Foundation Day celebration of the Yening Animal Foundation (YAF) held under the theme ‘Better Environment, Better Life, Better Future’ in Imphal on Thursday. The Minister said environmental care is a noble call that requires all and sundry to be actively involved. An environment that is not taken care of or preserved is bound to endanger its inhabitants, he added. Stressing on the need to preserve biodiversity, he opined that greater the diversity of life, the greater is the opportunity for discoveries that could make our world a much better place. On the exploitation of the environment by humans in due process of modernization, he said over exploitation of the environment has led to rising atmospheric and global temperatures, which has resulted in the dangerous weather patterns or extreme weather conditions which has been witnessed in the past few years over the globe. It has led to extinction of wildlife animals and is causing a threat to the plants, he added. He opined that the future generation will indeed enjoy and appreciate the environment conservation efforts of the present generation as the future is guaranteed if the environment can be safeguarded and preserved at the present time. Environmental preservation is a certain way of making sure that human, animal and plant life exist in the coming generations, he added. In his speech, Khurai MLA L Susindro Meitei said he is planning to develop a wildlife sanctuary at the Chingkhei Ching (Khurai), where presence of large number of deer is reported, for which he is consulting with the Government. He said there is a plan to develop a tourist spot (view point) on top of the Chingkhei Ching with the MLA Local Area Development Fund, in order to boost tourists and to conserve wildlife. DJN Anand, PCCF (Wildlife) & Chief Wildlife Warden elaborated on the challenges in facing the illegal wildlife trade which is threatening to overturn decades of conservation gains. He also stressed on the need to stop the rampant trafficking of wildlife and animal parts in the country including the State. He further spoke on how the women, including elected members, can play a pivotal role in the rural sector to spread awareness regarding wildlife and environmental conservation. Speaking on the importance of non-governmental organizations (NGOs), he said they play a crucial role by filling up gaps where government departments cannot enter. Children also need to come forward as they are the future citizens and massive awareness is needed, he opined. As part of the function, 16 people of different age groups were given certification award for their role in rescuing operation of animals. A painting competition was also held for school children as part of the Foundation Day celebration. Sapna Laishram, chairperson, Yening Animal Foundation, officials of Forest Department, students of various schools and members of Yening Animal Foundation attended the function. Yening Animal Foundation which was established on June 9, 2017 at Khurai Lamlong Bazar, works to provide a place for lost or abandoned animals; conservation of indigenous and endangered plants and animals; conserving Manipuri pony on its home tract among others with a vision to act responsibly and groom a more humane world.